Formerly known as Ruth Hardy Park, the neighborhood of Movie Colony East is situated in the space between the downtown core and the Palm Springs International Airport. This collection of about 700 homes vary from mid-ranged family houses to multi-million dollar estates. Small to large, and historic to modern, no neighborhood within the city has a greater sense of architectural diversity. Continue down the page to search Movie Colony East homes for sale, or discover more about popular architecture types in the area and nearby amenities. Register for my site for a full-service home search experience. Use my advanced search features to narrow your house hunt, receive notifications when homes that meet your exact specifications become available on the Palm Springs real estate market, and view an unlimited number of active listings. What are you waiting for? It's even free. Sandwiched between the affluent Movie Colony neighborhood and the Palm Springs International Airport, the area that was known as Ruth Hardy Park recently changed its name to Movie Colony East. The adjacent neighborhood of Movie Colony is well-known as the venue of Palm Springs luxury homes, and many Movie Colony East homes are equally luxurious. On the high end of the Movie Colony East real estate market, you'll find million dollar homes. Single-level mid-century modern manors are made up of spotless white surfaces, clean lines, boxy exteriors, and wide open living spaces. Sprawling contemporary estates made up of adobe walls, nearly endless banks of windows, and a modern flourish boast a dynamic style all their own. In this area, you'll also find Spanish style villas and one-of-a-kind designs. It's just a matter of finding the home that fits your tastes. North of $400,000, you'll find single-family homes with a touch of elegance. With as many as three or four bedrooms and just as many bathrooms, these houses were intended for families. As such, they have every comfort and convenience you and your family would need. 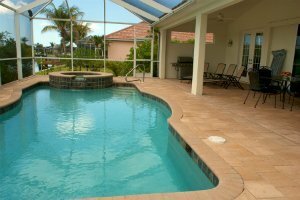 Backyard pools provide a fun space where you can swim laps or canonball into refreshing waters with a satisfying splash. Clerestory windows throughout the house fit above door frames and beneath the space where the walls meet the ceiling to allow extra desert light to filter into popular living spaces. On the opposite side of the neighborhood, you'll find the Palm Springs International Airport. The impressive 940 acre complex has two runways and provides service to over 500 cities around the world. If you're a frequent flier, Movie Colony East homes for sale couldn't ben in a more convenient location. And of course, Ruth Hardy Park homes for sale are within walking distance of downtown Palm Springs where you can go to explore charming shops and signature boutiques in the day and then enjoy the vibrant nightlife come evening. An exciting mix of restaurants, bars, clubs keep the downtown scene interesting well into the night. To book a viewing of Movie Colony East home for sale or to learn more about which Palm Springs neighborhood would best fit your lifestyle, contact me. Buying a house doesn't need to complicated.